Australia's extinction rate for mammals, already the highest in the world, could worsen unless efforts are made to protect the most endangered species over the next two decades, scientists said Tuesday. Researchers from the government-funded Threatened Species Recovery Hub identified 10 Australian birds and seven mammals whose extinctions could mostly be prevented if governments and communities were made aware of the risks they faced. "This would be an increase in Australia's exceptionally dire extinction rate, which -- for mammals -- is the highest in the world," said John Woinarski of Charles Darwin University. "Over the last two hundred years at least 34 Australian mammal species and 29 birds have become extinct," added Woinarski, who co-led the research published in the scientific journal Pacific Conservation Biology this month. "Identifying the species at greatest risk of extinction is a crucial first step in avoiding their extinctions," he said in a statement. The most at-risk bird is the endangered King Island brown thornbill, found on an island off the island state of Tasmania. It has little more than a five percent chance of surviving the next 20 years unless conservation efforts are stepped up, the researchers said. Other birds that have a 50-50 or greater chance of becoming extinct include the orange-bellied parrot, western ground parrot, plains-wanderer, regent honeyeater and herald petrel. Most are found on islands or in the more heavily developed regions of southern Australia. In the case of mammals, the central rock-rat -- a small rodent that lives in the arid areas of central Australia -- has an estimated 65 percent chance of becoming extinct over the next two decades. Second on the at-risk list is the northern hopping-mouse, another small rodent, at 48 percent. Another rodent, the Carpentarian rock-rat, as well as the Christmas Island flying-fox bat, are also among the most in peril. Many of the at-risk mammals are from northern Australia, which is already experiencing a "rapid and severe decline in mammals generally", said researcher Hayley Geyle from Charles Darwin University. Woinarski said the two most-recent mammal extinctions were the Bramble Cay melomys and Christmas Island pipistrelle, which disappeared from Earth in the past decade. A study released in 2014 said Australia's mammal extinction rate was the world's highest, with more than 10 percent of species wiped out since Europeans settled the country two centuries ago. 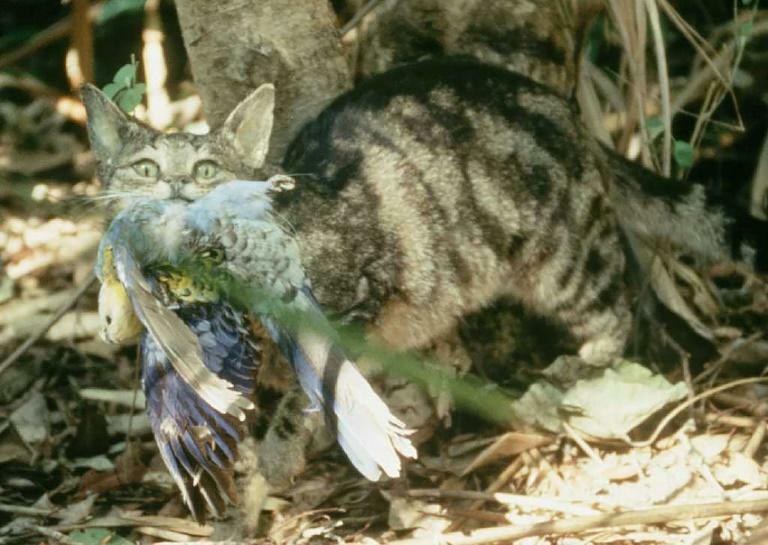 The main causes of species decline that have been identified include habitat loss, such as through land clearing and other development, and feral cats and foxes.